Not all PCs have the almighty Group policy editor. If yours doesn’t, then it can become quite a pain to bypass the “Some settings are managed by your organization” warning in the Settings app. Group policy editor makes managing Windows very easy. If you try to administer a PC without it, chances are that you’ll feel yourself underpowered without it very quick. In Windows 10 Home, you don’t have that luxury, so what should you do to fix the “Some settings are managed…” warning in the Settings app? Well, there is a way to fix this warning without using the Group policy editor. You can set the Network group in System settings to match what Windows wants. That will fix the “Some settings…” warning in the Settings app. Step #1: Search for Advanced system settings in the Start menu. You’ll see the System Properties listed there. Open it. Step #2: On the “Computer Name” tab, click on Network ID button. 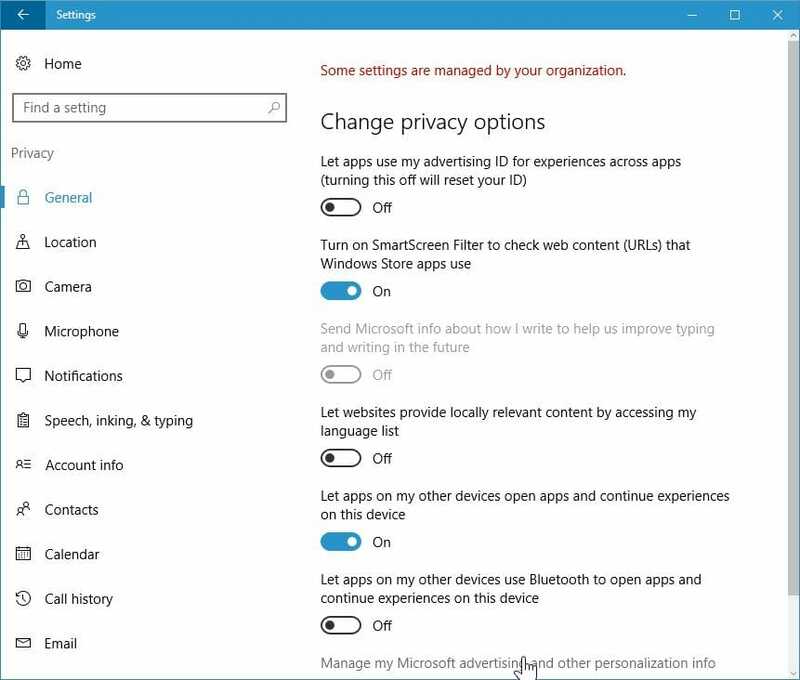 Step #3: You are getting the warning “Some settings are managed by your organization” on your PC. So, this options should be set to the first value. By default, “This computer is a part of a business network; I use it to connect to other computers at work”. Select “This a home computer; it’s not a part of a business network“. Step #4: Press Next and the Finish in the next window. Step #5: Close the System Properties box and restart your PC. You can try the “Restart later” option, but the changes won’t take effect until you restart your PC. After performing these steps, go to the Settings app. Now, open the page where you were getting “Some settings are managed by your organization” warning while trying to change settings. You’ll see that now that warning has disappeared and you can edit all the settings without any problem.